Happy Monday loves! 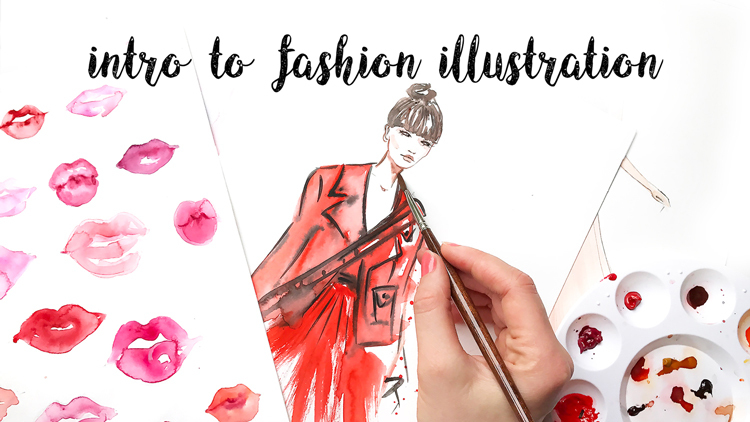 Every day I get lot’s of Instagram DMs with questions about fashion illustration tips and today I have really amazing news that will brighten up your day! 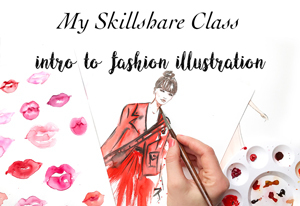 I finally filmed my first Skillshare class after years and years of being too scared to try. 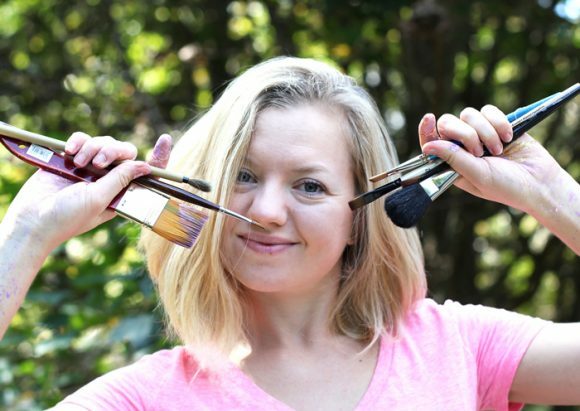 I’ve been always terrified of being judged that I’m a self taught artist and don’t have a diploma from a fancy school or my strong accent will make people laugh. But this year is all about challenging myself. A few weeks ago I was going to do a live Insta video and was sooooo nervous! My hands were shaking, I couldn’t remember what I wanted to say but I pressed the button “GO LIVE” and it was fine….I survived! :) Nobody threw rotten tomatoes in my screen, some people even told me later that they loved it and asked for more videos:))) I realized that if I inspire to draw or paint at least one person- it all worth it! And I did it! 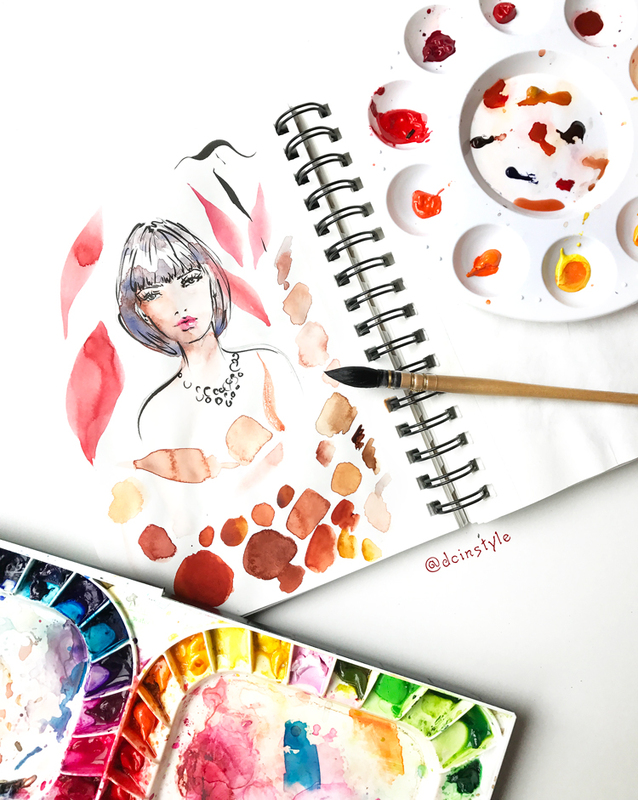 In my class you will learn the basics of fashion illustration, I’ll show you step by step how to draw a fashion figure, create dynamic and interesting poses and we’ll be learning how to use watercolors along the way. 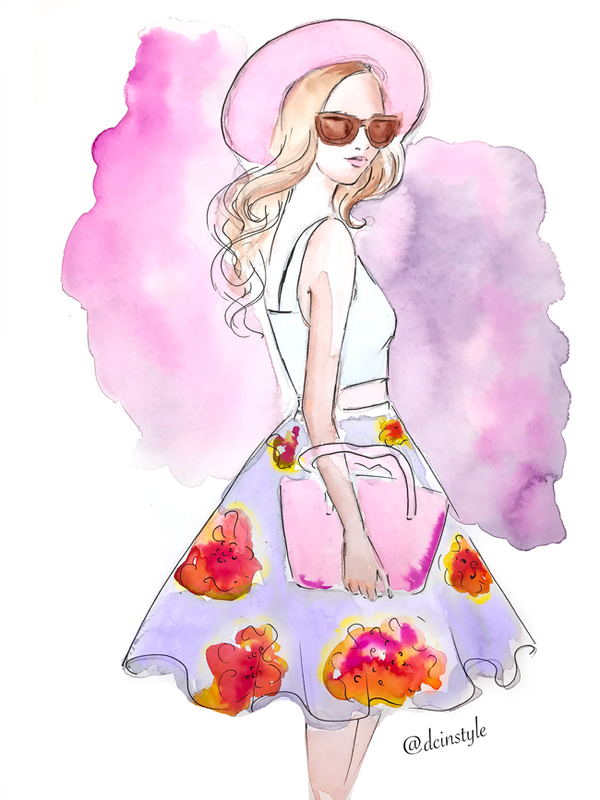 The class includes short video lessons (total 35 minutes) and a project that challenges my students to paint and share their own fashion illustration. You can post your projects on the community board and receive peer to peer feedback. 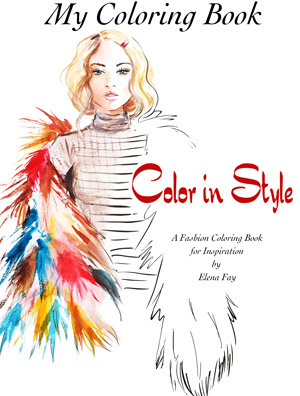 This entry was posted in style and tagged fashion illustration class, how to draw fashion, learn to draw fashion figure, Skillshare class on June 5, 2017 by Elena Fay.